Broadband customers who stay with the same provider and do not haggle for a better deal are being hit with “loyalty penalties” of up to £220 a year, a consumer group has warned. Govia Thameslink Railway (GTR) has not been stripped of its franchise despite its “unacceptable performance” following the introduction of the May timetable, Transport Secretary Chris Grayling has announced. Transport Secretary Chris Grayling said he had apologised “many, many times” already, after he was criticised by MPs investigating train timetable chaos that gripped parts of the network earlier this year. Broadband customers who do not switch are enduring “often terrible” customer service and potentially paying hundreds of pounds a year more than they need to as providers take advantage of their loyalty, according to a consumer watchdog. 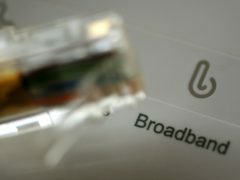 British households are paying for broadband speeds that are on average 51% slower than advertised, according to a study. EE and Vodafone have been voted the two worst mobile phone providers in an annual customer satisfaction survey. The rising cost of directory inquiry calls to some 118 numbers is very concerning, an industry regulator has said. Asda has been named the cheapest supermarket of 2016 among the major UK grocers by a consumer group. 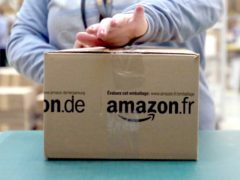 Here are some examples of last year's Black Friday discounts as tracked by Which?